Sam Pluta is a Chicago-based composer, laptop improviser, electronics performer, and sound artist. Though his work has a wide breadth, his central focus is on the laptop as a performance instrument capable of sharing the stage with groups ranging from new music ensembles to world-class instrumental improvisers. By creating unique interactions of electronics, instruments, and sonic spaces, Pluta's vibrant musical universe fuses the traditionally separate sound worlds of acoustic instruments and electronics, creating sonic spaces which envelop the audience and resulting in a music focused on visceral interaction of instrumental performers with reactive computerized sound worlds. As a composer of instrumental music, Sam has written works for Wet Ink Ensemble, the New York Philharmonic, International Contemporary Ensemble, Yarn/Wire, Timetable Percussion, Mivos Quartet, Spektral Quartet, Ensemble Dal Niente, Mantra Percussion, TAK, Rage Thormbones, and Prism Saxophone Quartet. His compositions range from solo instrumental works to pieces for ensemble with electronics to compositions for large ensemble and orchestra. 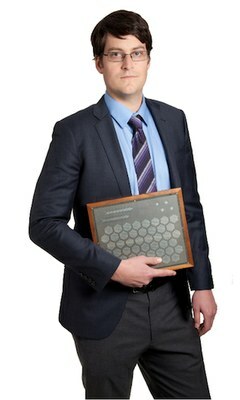 Dr. Pluta studied composition and electronic music at Columbia University, where he received his DMA in 2012. He received Masters degrees from the University of Birmingham in the UK and the University of Texas at Austin, and completed his undergraduate work at Santa Clara University. His principal teachers include George Lewis, Brad Garton, Tristan Murail, Fabien Levy, Scott Wilson, Jonty Harrison, Russell Pinkston, Lynn Shurtleff, and Bruce Pennycook. 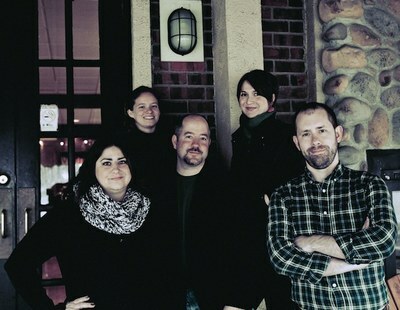 Sam is Assistant Professor of Music and in the College at the University of Chicago. His is director of the CHIME Studio and co-director of Contempo, the University's new music ensemble in the Chicago Center for Contemporary Composition. 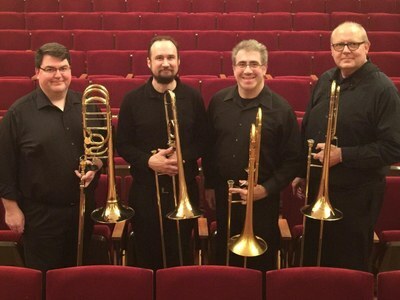 Formed in 2009, the Elysian Trombone Consort continues with its passion for trombone chamber music. The consort has performed recitals at the University of Louisville, Bellarmine University, the University of Cincinnati College-Conservatory of Music (CCM), University of Southern California, Mesa College (San Diego), the Peabody Institute of the Johns Hopkins University, Elizabethtown State Theatre (KY) and the historic Mt. Vernon United Methodist Church in Baltimore. They have also performed featured recitals at the 2016 American Trombone Workshop, the 2013 International Trombone Festival, and the 2012 College Music Society National Convention in San Diego.